In 2014, Annie and co-author Christy Howard launched ACE Publishing LLC and published their first book, Read This…™ When I’m Dead. Annie’s desire to change the conversation about death and dying resulted from her mother’s unexpected death when Annie was 12. Annie and Christy have released two additional books in their guided journal series, Read This…™ On Our Anniversary and Read This…™ On Your Birthday. Their fourth book, Read This…™ About My House, is due out in September 2017. A serial entrepreneur, Annie founded McKellar Christy and Annie Presley co-author the Read This…™ series of guided journals. Much of Christy’s input for their first book, Read This…™ When I’m Dead, was shaped by the actions her own mother took while waging a battle (now 37 years) to survive a life-threatening illness. Subsequent books in their series, Read This…™ On Our Anniversary for couples to fill out and Read This…™ On Your Birthday for an adult to fill out about a loved child, were inspired by warm family traditions and a desire to make it simple and fast for people to Group, a professional fundraising company, in 1993 after selling her first business, Legal Assistance Inc., in 1989. Throughout her career, AP dabbled in high-octane politics including a successful stint as National Deputy Finance Director at Bush for President in Austin, Texas during the 2000 campaign. Following his inauguration in January 2001, she served as Vice President and Director of Government Affairs and Charitable Giving at UBS in New York City. Homesick as a result of the terrorist attacks on 9/11, she returned to Kansas City in 2004 and revitalized McKellar as a consulting entity highlighting new lobbying skills and utilizing Wall Street financial tools. McKellar designed advanced fundraising and political strategies for non-profits and select political candidates, helping them raise over $600 million by deploying her “Art and Science of Fundraising” strategy. In 2011, she joined the global law firm, Bryan Cave, to accelerate its public policy practice in the Midwest, joining 25 others in the group. By 2014, ACE Publishing was born! As a result of her work in both the public and private realms, AP has served on numerous boards in industry from Los Angeles to New York City. Currently she serves UMKC as a Trustee and recently joined the national Care for Children board. Annie earned her undergraduate degree in Political Science from the University of Missouri-Columbia and her Masters in Public Administration from the Bloch School of Management at the University of Missouri-Kansas City. She and her husband, Jay Selanders, spend their free time with family and friends. She also plays golf, tennis, reads, paints and recently began piano lessons. Christy and Annie Presley co-author the Read This…™ series of guided journals. Much of Christy’s input for their first book, Read This…™ When I’m Dead, was shaped by the actions her own mother took while waging a battle (now 37 years) to survive a lifethreatening illness. Subsequent books in their series, Read This…™ On Our Anniversary for couples to fill out and Read This…™ On Your Birthday for an adult to fill out about a loved child, were inspired by warm family traditions and a desire to make it simple and fast for people to capture life’s treasures. Their fourth book, Read This…™ About My House to chronicle home renovations and maintenance, is due out in September 2017. Christy’s career in Kansas City ranged from practicing real estate and environmental law to management positions at Hallmark in finance, risk management, marketing & development, and human resources – and then to humanitarian work globally. She coauthored her first book in the late 1990’s – The Environmental Due Diligence Handbook published by Government Institutes. When Christy left Hallmark in 1998 to raise her daughter, she remained on-call for special projects for nearly 10 years during which time she benchmarked with Fortune 100 companies, led an analysis to revitalize the longstanding Beliefs and Values and co-led a corporate-wide team to develop the Global Crisis Response Plan, which was put into practice on 9/11. Later, in her position as Director of Corporate Communications with Children International, she found herself inspired by people doing their utmost to help end global poverty, and also by the families and the children themselves who strive daily to escape the relentless traps of poverty. Christy spoke to groups at the United Nations and met with government officials in countries as far away as Zambia. The mothers she met earned her undying respect. 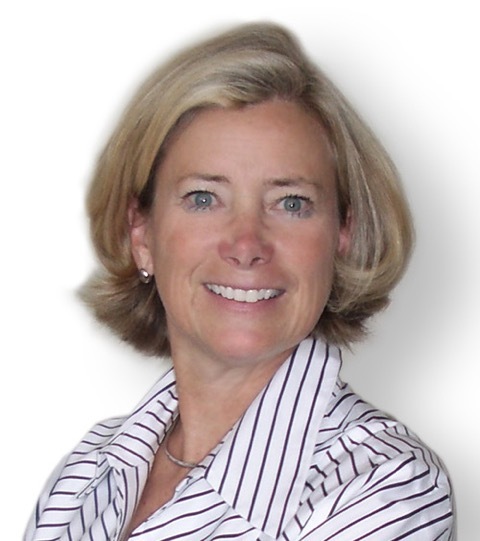 Christy has served on boards and committees for various non-profits. She loves to spend time with her family, and takes every opportunity to travel. Her favorite activities include water sports, biking in the woods, hiking and horseback riding.